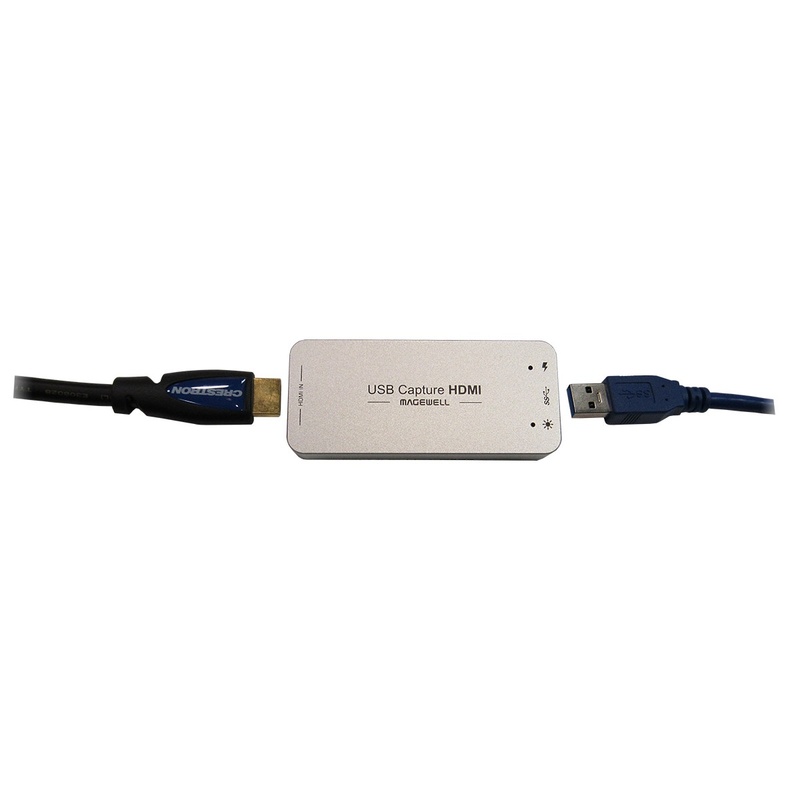 USB Frame Grabbers for HDMI and HD-SDI... Finally a reliable way to extend USB 3.0! So many conference rooms have support for users to plug in their laptops at the table or a wall to connect directly to a display. This is good for BYOD conference rooms where users are meant to bring their own computer to a conference room. But what has happened over the past few years are companies are providing "Dedicated PC" computers in each room because they dedicated to video conferencing for cloud based applications such as GoToMeeting, WebEX or Skype for Business. Companies are doing this because they want to keep the USB camera and USB microphone plugged into the same computer without requiring users to continually un-plug and re-plug their laptops. It's also convient because the "Dedicated PC" can be managed by IT, locked down if needed and connected directly to the display via HDMI. So what happens when we want to connect our HDMI laptops or tablets to the "Dedicated PC"? Well, in comes the HDMI to USB 3.0 frame grabber. Many conference rooms already have HDMI run from a table to the display. So you can re-use that cabling and put a HDMI to USB 3.0 frame grabber in-line to connec the HDMI directly to your computer. You can use this input to pull in a webcam into any cloud based video conferencing software such as WebEX, Bluejeans or even Zoom. Many of our customers are using Intel NUC computers are dedicated PC's, because they are small, affordable and powerful enough to run web based video conferencing applications.